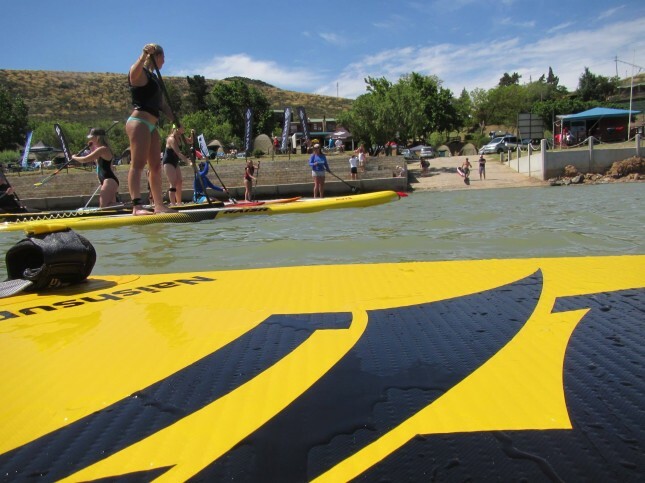 Dylan Frick and Ethan Koopmans were tied on points, so the winner of this event would be crowned champ whilst Mishka Steyn’s Ladies title was in the bag if she completed the race. The SA Champs winners would also become eligible for selection for the SA Team to the ISA Worlds. 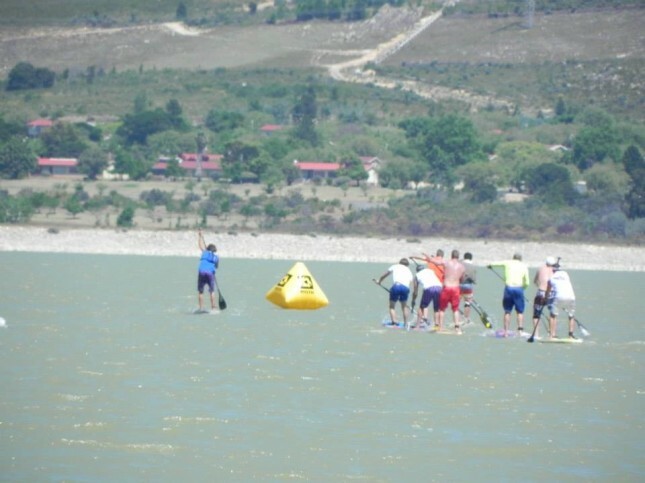 Brandvlei dam is roughly 10km’s long and the South East summer trade winds funnel through here serving up some scenic kiting and SUP downwinding conditions. 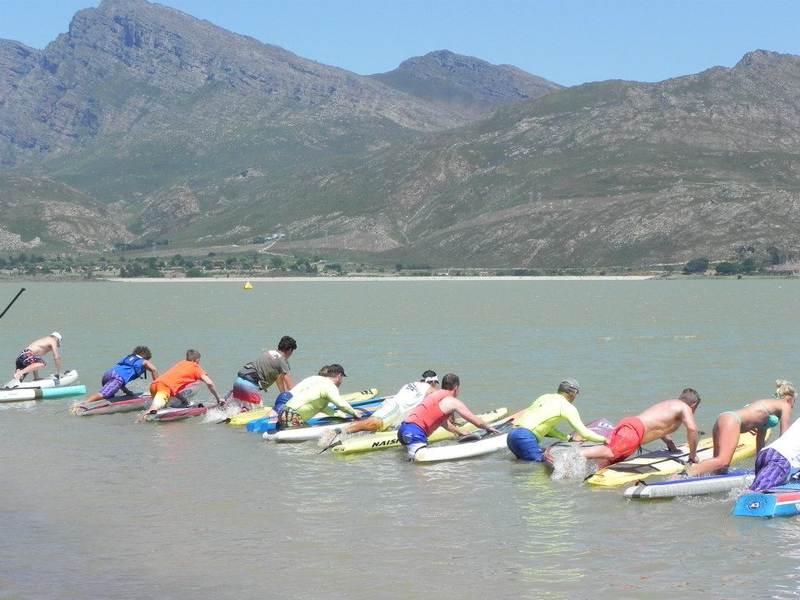 This years event was a 3 day event with participants celebrating Halloween and a downwinder on Friday, a Potjiekos braai-off (grilling competition) and another downwinder on Saturday and the counting SUPSA race on the Sunday. Guy Bubb from SUPSA and SUP Cape Town was organiser (together with NaishSUP) and he kept everyone busy the entire weekend with SUP’ing fun intermingled with campsite braaing (barbecuing), swimming, kiting and dress-up comp’s. The Sunday race decider was held in marginal downwind conditions with 10knots of wind feathering the dam. Dylan Frick as usual shot out of the blocks and had a 30m lead by the first turn-bouy. Ethan Koopmans tried all he could to close the gap but Dylan held on on the downwind leg only to make a slight navigational error which gave Ethan a glimmer of hope. The finish entailed a straight 800m upwind leg followed by a downwind leg to the finish and despite Ethan’s efforts Dylan Frick cruised across the line 30secs ahead to secure his 2nd SA race title in as many years. Well done Dylan! Ethan had to settle for being Junior Champ and 2nd in the Open Mens. Wade Keet, who is an up and coming Junior fought off another Junior, Josh Robertson for 3rd. 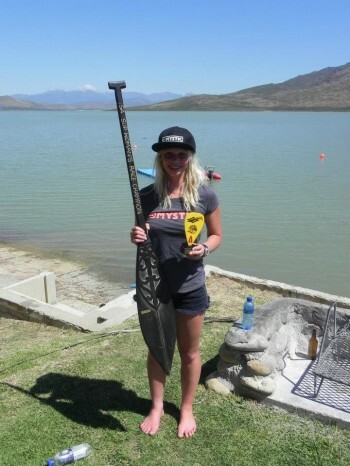 Mishka was our only Long Course competitor and secured her first SA Ladies title at the tender age of 17yo! In the Legends division, championship leader, Gary van Rooyen was away tying the knot (congrats Gary and Candace!!!) leaving the door open for yours truly to take the over 45’s yo. 2014 title. The event also featured a shorter downwinder for the social class followed by a fun Naish N1SCO ONE design inflatable man on man sprint course. 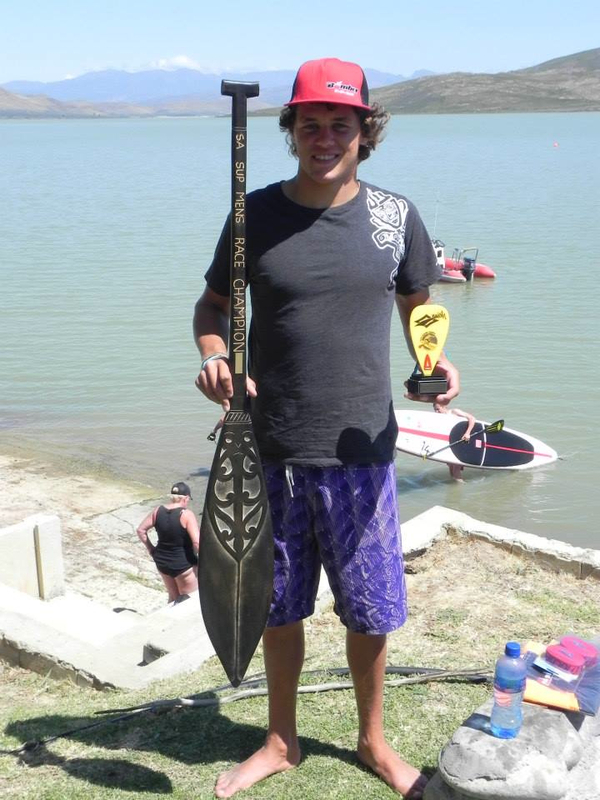 Siya Mgupane took line honours on the short course downwinder and ex-N1SCO World Champ Ethan Koopmans took out the Naish Sprint Challenge. These two events saw many trying out racing for the first time and judging by the smiles we’ll see many more paddlers in the future. All in all a great way to close the racing season for 2014!